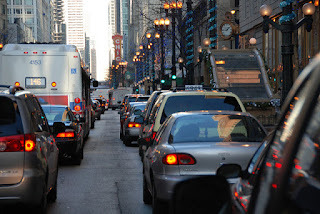 Traffic is the world’s most infuriating example of what’s known as an emergent property. Meaning, lots of individual things forming together to create something more complex. 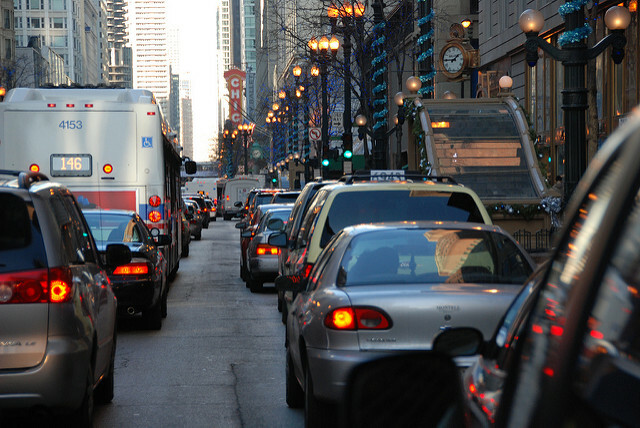 The math says that if everyone kept an equal distance between the cars ahead and behind, all spaced out in a more orderly fashion, traffic would move almost twice as quickly. But technology certainly does. Some cars already come with adaptive cruise control that automatically follows the car ahead at a safe distance. So why not also add the sensors to the back of the car as well? That way the machine can achieve equidistance on its own. Problem is, we’re talking about an emergent property here. “To get the full benefits of this, a significant fraction of the cars would have to have this,” says Horn. “In terms of societal implementation that's a big factor, because even if it's relatively cheap, people who implement it will question whether the first car that gets it is worth that investment, because until other cars get it, it doesn't do a whole lot of good.” After all, if only one starling in a flock can position itself properly among its neighbors, things will get messy. It could even put the early adopters at a disadvantage, since opportunists might jam themselves into that gaps in traffic that have opened up. That's not playing very nice.